your personal selling and direct marketing programs. Special friends and customers are like special occasions – you want to be able to celebrate them! 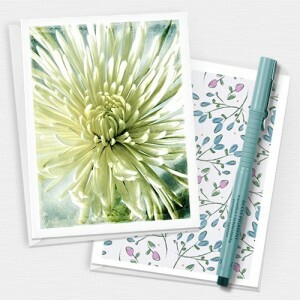 Our note cards measure 4″ x 6″, and feature our original photographs and artwork. Cards come with one A2 white envelope. Promote your business- Each card can be personalized on the back with your logo and contact information, or a special promotional message! Learn More About Our Cards! It’s time to celebrate! Our gift card holders measure 4 7/8″ wide x 3 3/8″ tall (horizontal), or 3 3/8″ wide x 4 7/8″ wide (vertical), and come with one white envelope. 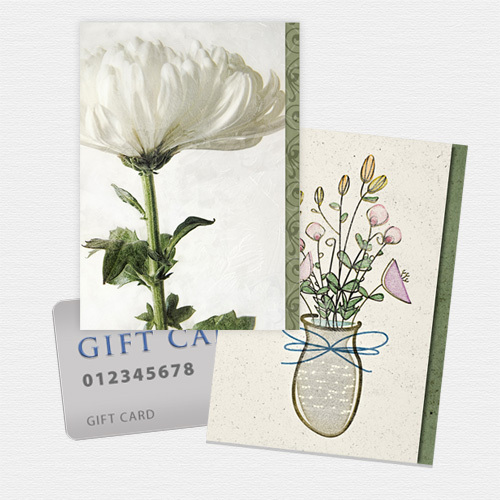 Each card features our original artwork and patterns. Additionally, they have a slot on the inside to hold one gift card. A great promotional tool! Personalize the backs of these cards to sell in your shop. You can also use them as receipt holders for your customers to use as gift card holders, give them away to promote your business, or pair them with discount gift card promotions. Their usefulness is endless! Learn More About Our Gift Card Holders! A new spin on a familiar promotional tool! Folded business cards can be more than just beautiful handouts with your contact information. Use them as part of an in-store promotion plan, or as discount cards. They can be thank you cards too, and even small note cards with a handwritten message inside each one! 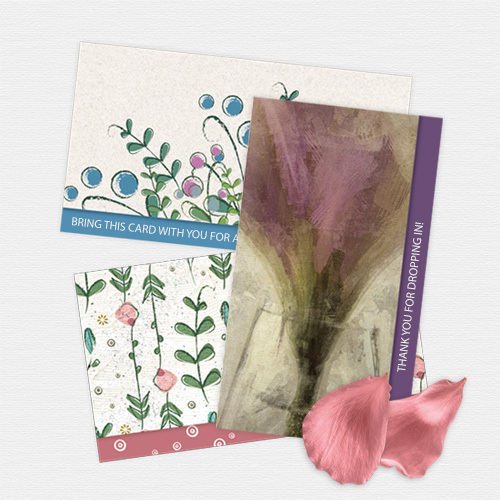 With our artwork and a call to action on the front, added to your contact info on the back and a personal message inside, these great cards become more than just a simple business card! Learn More About Our Folded Cards! Copyright 2017 Susan Weller | All Rights Reserved.